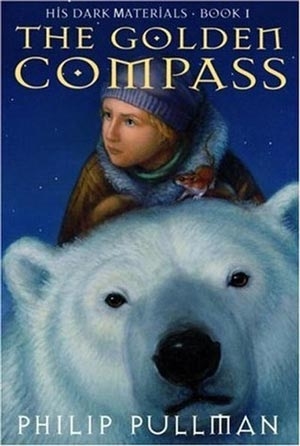 This, the first of the His Dark Materials trilogy, tells the adventurous story of Lyra, a young girl who has grown up an orphan being raised at Oxford College in a previous era. Only, it’s not – it’s a different world, a world with polar bears who wear armour and fight, with witches and where every human has a daemon – an animal representation of their soul that is spiritually joined to them and has various roles in their lives. Until one hits puberty, their daemon changes depending on the situation, but after puberty it is fixed. In Lyra’s world, children are disappearing and there are all kind of rumours. When Lyra starts investigating, she finds out more about her world and the outside world than she could imagine – including about her uncle Lord Asriel and the mysterious Mrs Coulter. I quite liked Lyra and the depictions of the characters, but I found that as soon as problems were raised, they seemed to be solved; things just seemed to be quite convenient. I also struggled with the way he wrote the dialogue, representing Lyra’s accent – it really annoyed me. I think possibly because I didn’t feel this was how Lyra spoke, so it felt wrong. Still, despite the things I disliked about the book, I am keen on reading more, and I intend to read the next two books. I’m glad I’d read the book before I saw the film, because I suspect that I would not have had such an easy time following it otherwise. There is just so any elements to the story, and the book gives it time to tell the story, but the film rushes through it all. Like the book, I found the dialogue for Lyra and some of the others quite jilting. It was a beautiful film, although some of the effects already look quite dated. Nicole Kidman was perfect for Mrs Coulter – she conveys coldness very well. It seems at this stage that there is not going to be further film adaptations made. 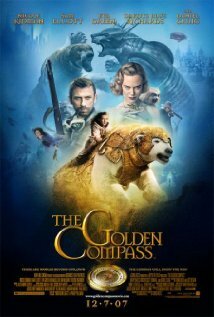 The Golden Compass won an Oscar for Best Achievement in Visual Effects and was nominated for Best Achievement in Art Direction.